As luck would have it, the pub we were having lunch in, was opposite the church. Strangely I have been to this pub twice but have never noticed the church before….I wonder what else I miss going on around me. My lunch went down quite quickly, but everyone knew I was desperate to see the pig, the pig is on the other side of the church that you can’t see from the pub window. The weather is a lot colder here than at home, so I quickly walked up the road to the church and thought I’ll just take a few photos, half an hour later I’m still snapping away, impervious to the cold. 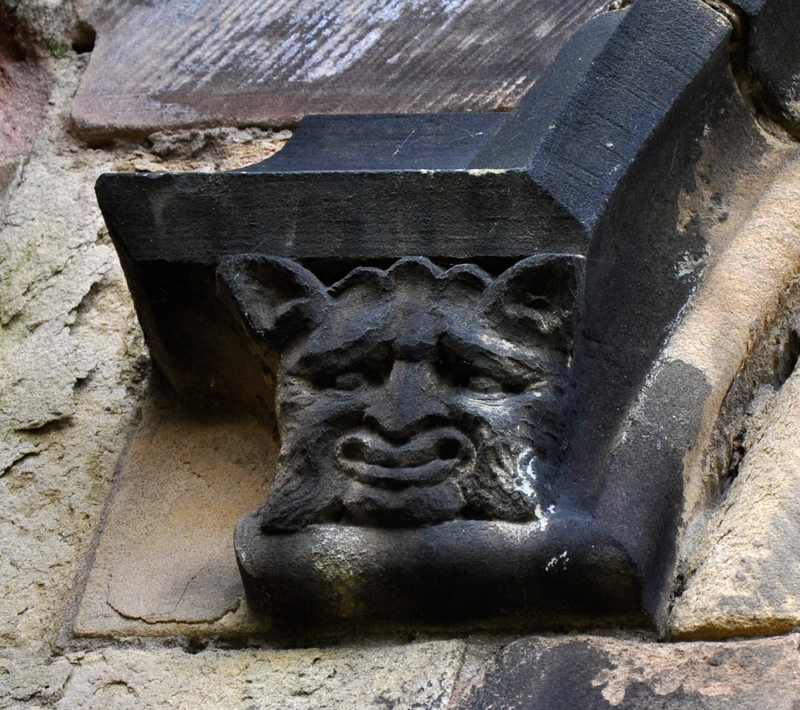 Winwick is an ancient site with lots of interesting stories, but today its the pig’s story that I want to tell you about. St Oswald was the King of Northumbria, he died in 642 at the Battle of Maserfield. 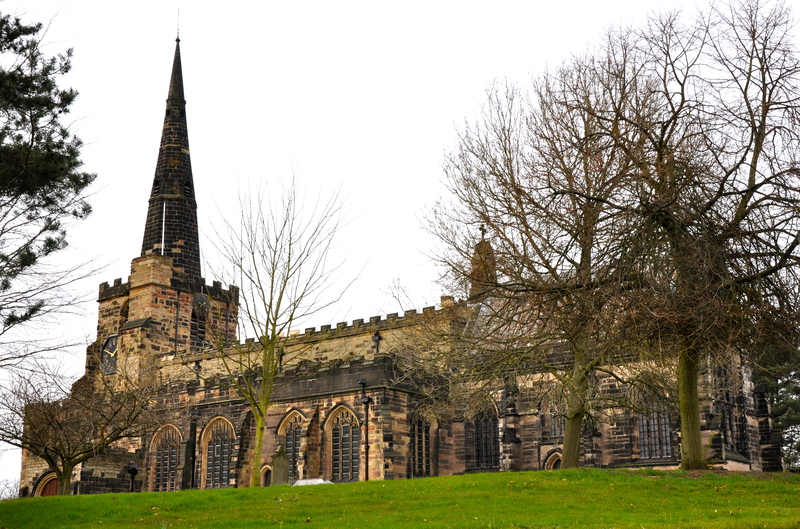 Maserfield in Winwick lays one of the claims to the battle and St Oswald’s Church is thought to be close to where the King fell. Legend says that Winwick at the time of the Kings death was just a small clearing with a few huts as dwellings, a small church was built near to where the King had died. Travellers would leave tributes to the hero on a stone that mark the spot were the King had fallen. One day it was decided that they would build a bigger and better church for St Oswald. 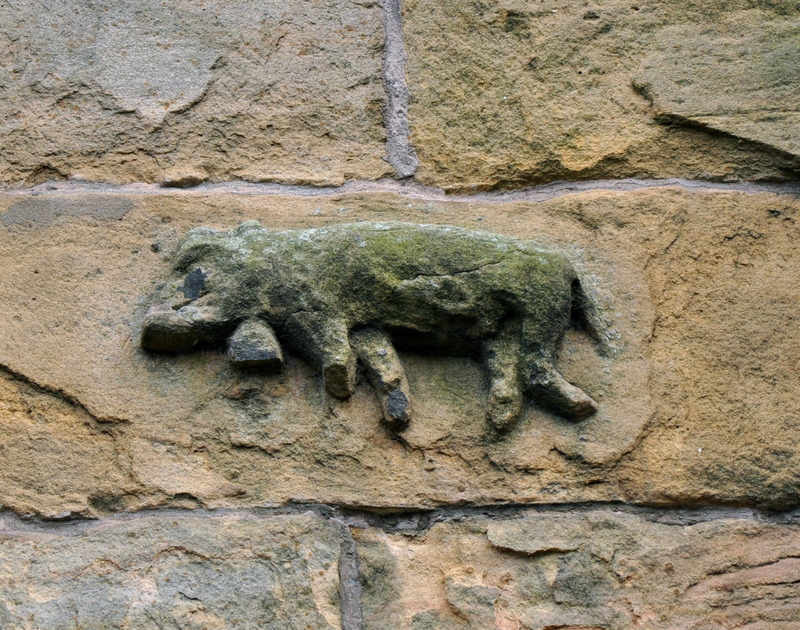 The stone masons laid new foundations on the original site of the old small church, but one night a pig was seen to be running to the site of the new church crying ‘we-ee-wick’ and then he took up a stone in his mouth and carried it to the spot where King Oswald had died, the pig then remove all the stones that the stone masons had laid that day. In the morning when the village elders gathered they were amazed at what had happened and thought it was an omen, they decided that they would build the church on the hill where the pig had taken all the stones. In memory of the pig they craved his form into the stone that had marked where the King had died. 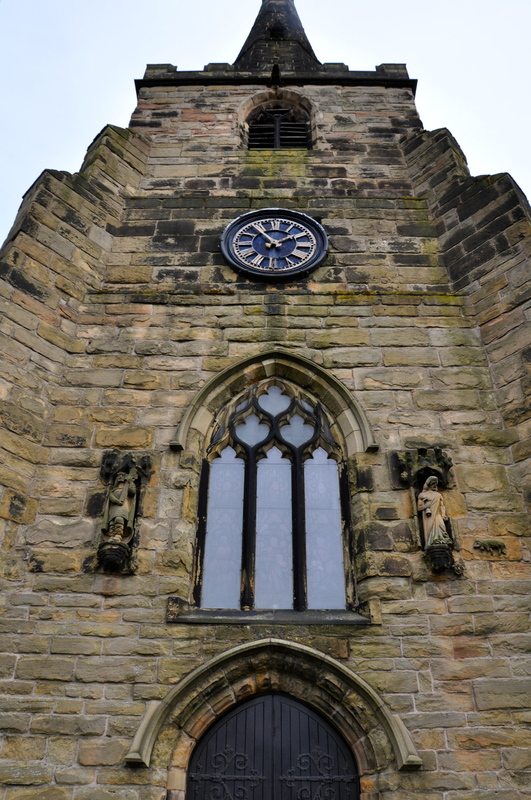 In the 14th Century the church was re-built in stone, that very stone was built into the tower and is still there to this very day…….well thats what the Legend says…….. 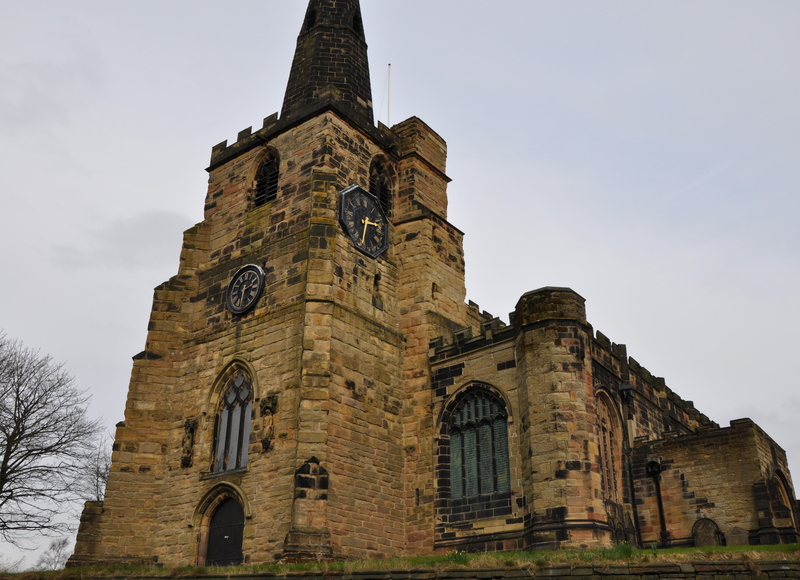 The church building has over the centuries been rebuilt and restored, built with sandstone the west tower in 1358 and has 3 stages with a recessed stone spire. The figures of the Saints Anthony and Oswald are in a niche to each side. The bell tower has a peal of six bells. 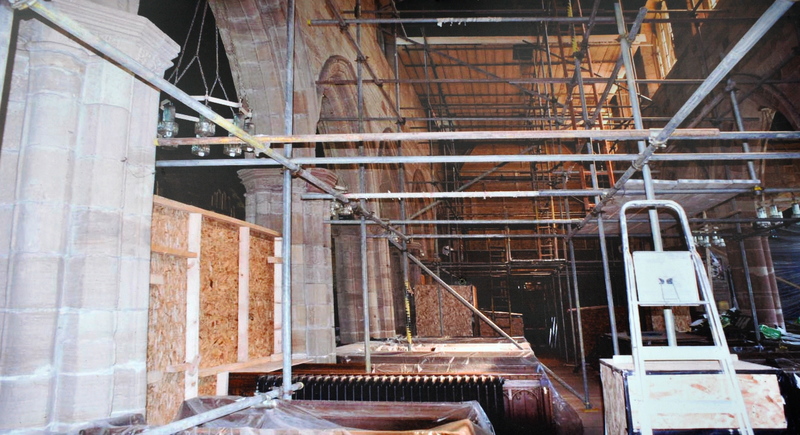 At the moment the body of the church is having extensive restoration work carried out, on the inside of the roof, so it was difficult to have look in the interior. They are still holding services but not in the main church. I took a photo of a large sign showing the work they are carrying out inside. 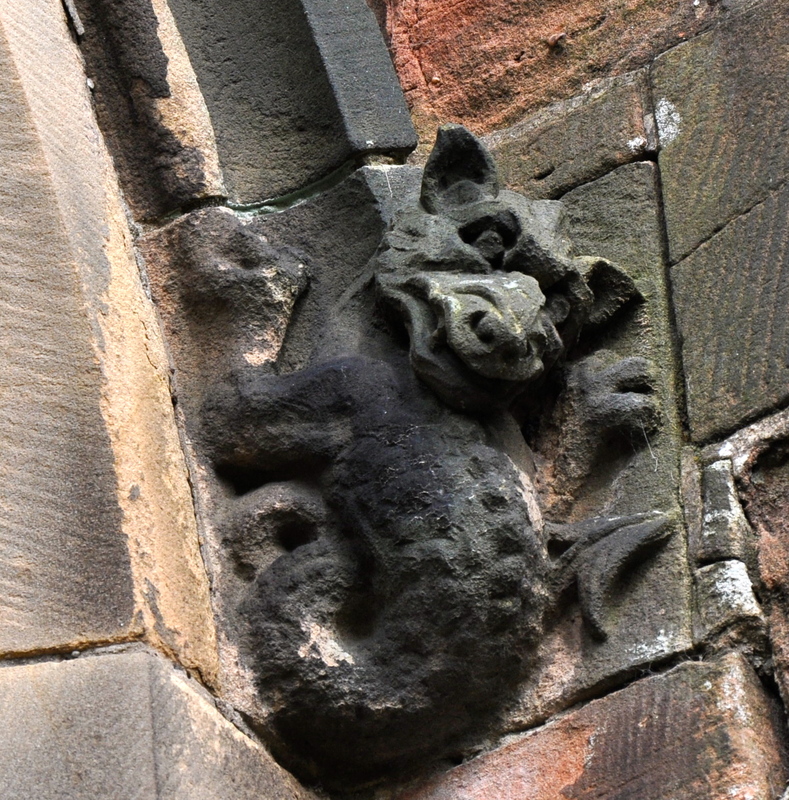 I was really excited when I found the next little guy…..please remember that I have only just start looking at churches so I do tend to get excited over the smallest thing…. I’m not too sure about his friend though….. 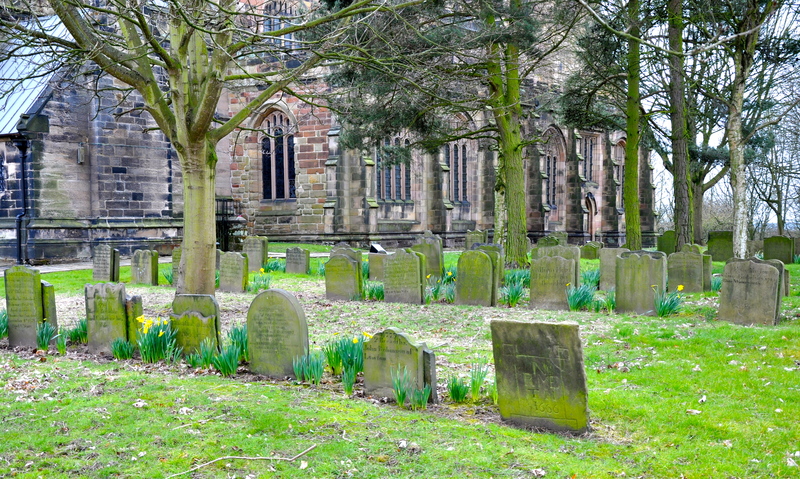 There is some interesting reading on the headstones in the churchyard and to one side of the church they have laid the larger headstones flat. Really interesting. 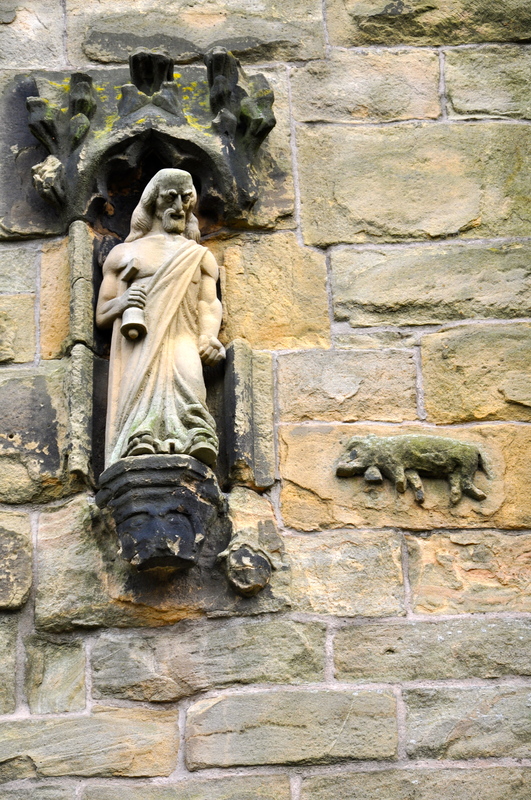 I love the story of the pig and I am also a big fan of church carvings. You never know what hidden gems you can find! 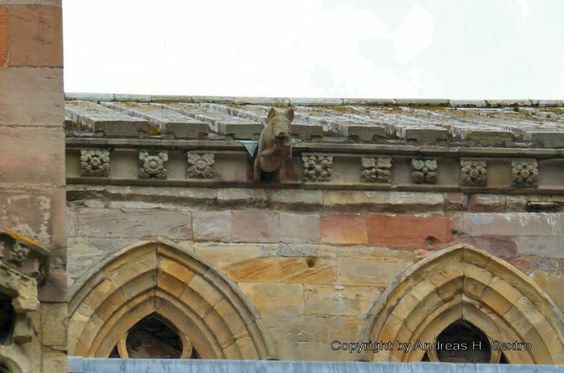 If you type the following into Google, you will get some images as well: Melrose Abbey Pig Bagpipes. Love your pictures and stories. 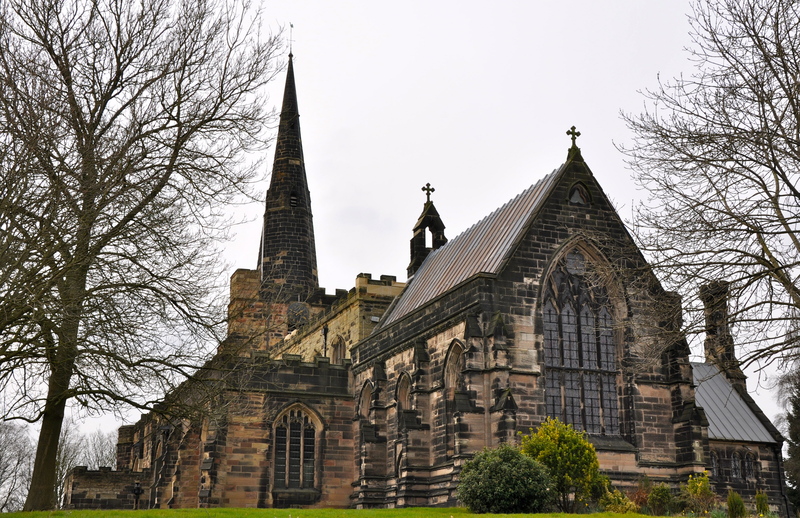 St. Oswald’s Church Winwick, is having an open day this Saturday 5th August from 10am until 4pm. Unsure as to whether you will be in the area but please come along if you can. There will also be other open days in the future. Thank you for the information Janice, unfortunately we will not be in the area, but hopefully on another occasion we can visit. Good luck with the weather and hope the day goes well. Just found this blog when looking up the story of the pig! Also interesting to point out that the Captain of the Titanic was married in this church as well! Glad you enjoyed your visit. Iremember this story from my chilhood, and Wrote a school essay on it Iam now a published History Ph.d. all thanks to the little pig!